Through the music contest, “Operación Triunfo” and through a special Gala, this year’s Spanish represenantive was selected and that was “Tu canción” by Alfred and Amaia, which were eliminated in the 23rd place with 61 points. However, the impressions were stolen by Aitana & Ana Guerra, with the song “Lo Malo”, which was ranked 3rd without being able to travel to neighboring Lisbon to representy the country. The duo may not have made it to Eurovision, but the success of “Lo Malo” in Spain is enormous. In particular, the official video of the song has surpassed 40,000,000,000 views on Youtube, and has been in top10 for 17 weeks, making it undoubtedly the summer hit in the country. 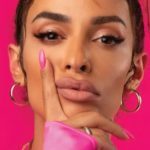 The song, as it is obvious, has many fans and one of them is this year’s Eurostar, Eleni Foureira. Through the Los 40 radio station, Eleni was faced with a game where the presenters asked her to listen to some of the songs that made great success in Spain, including songs by Alvaro Soler, Pablo Alborán and of course the favorite by Operación Triunfo. 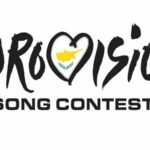 The goal was simple – Eleni just had to say whether she would work with the artist, get the song on Eurovision or release it as a single one. “Malo! It is my favorite song. I like this song (she said singing and dancing together)”. “I saw the final (the Operación Triunfo Gala for Eurovision) and that was the best song of the evening. And when they did not win, I said with an unpleasant surprise ‘NO’ !”.